Nobody wants to keep the decoration style of their home to look same. Decorating a home is an interesting task if you have decided the theme and collected the accessories. There is no better way to decorate your home than using Persian inspired interiors. Persia is a country which is the origin of craftsmanship. Handmade carpets, hand paintings, kilims, bohemian style etc. has been originated from there. So if you want to decorate your home in Persian style then make sure that you should have all antique items. Now, I am going to tell you that how you can decorate your home in a Persian style. Select a Persian carpet: As we know that our room is divided into three parts like ceiling area, walls, and floor. For decorating floor and wall of a room, you should buy a traditional Persian carpet. I don’t mean that you should take a Persian carpet which is specially made from Persia; you can take a handmade carpet which contains Persian patterns like Kashan, Qum, Hamadan, Tree of like etc. These designs have been originated from Persia. Kashan design is the most famous carpet design of the handmade carpet and this design has been originated in the 17th century. Many people use pastel colors for their home but if you want to give a Persian look to your décor then vibrant, rich colors are best. Handmade Persian carpets are made using vibrant multi-colors and tiny motifs. Mostly, Persian features will include a rich color palette of emerald greens, rustic, bright reds and indigo tones. Furniture: Antique furniture must for those who want to decorate their home with Persian Style. If you don’t have any antique furniture but have old sofa or furniture then don’t repair or decorate it, use as those are. If you want to buy antique furniture then you can buy but obviously, these are expensive. So, if you are on a budget, it may be beneficial to invest in distressed pieces. These can look antique without spending much money. 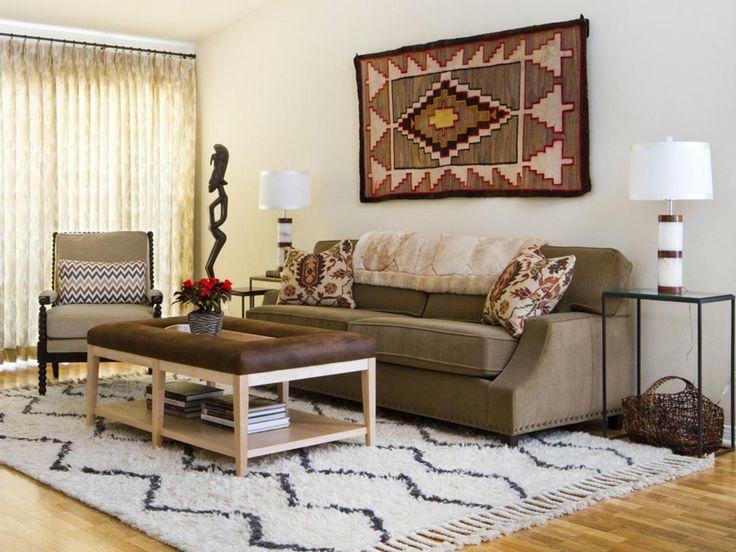 Kilim as wall hanging: A kilim carpet automatically gives a vintage look. Kilim is the part of tribal rugs which is originated from Persia many years ago. 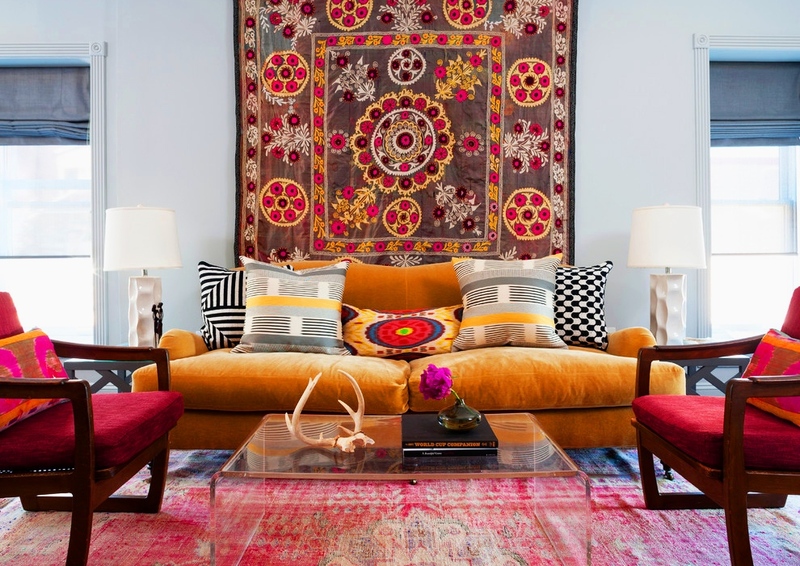 If you want to give an antique and vintage look then use a kilim for the wall hanging. Hang it on the wall behind your sofa set and change the entire look of your living space. Kilim carpets are also handmade but woven in a flat-woven technique like handmade dhurries. This is woven into the wool material. Sometimes designs are created by weaving the carpet using needle and yarn. You can also use it for floor covering. Most of the kilim carpets contain rustic color combinations. Other Decorative accessories: Persian people like to use handmade painting which includes king’s war or contains Persian motifs so use this type of paintings. , You can make paintings on wall including floral design or including wildlife design pattern. Buy a bohemian style chandelier and add it to the center of your living space. I repeated that all accessories should give a vintage and antique look for giving a Persian Style. Author Bio : Shivani is a professional interior decorator who likes to blog about latest home decorating trends. She believes that it is very important to have a comfortable and well styled personal space in each house as it’s crucial to living a happy and healthy life. You can read her latest posts on Rugs and Beyond.